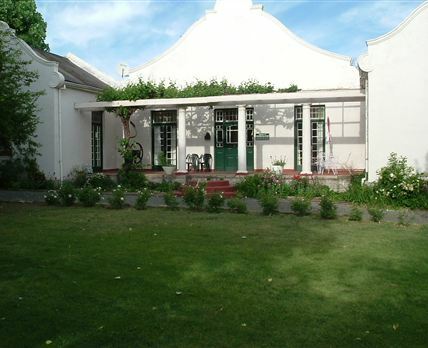 Country Road Guest House: Situated 50 km north of Graaff-Reinet on the Middleburg road, Country Road Guest House is within 35 minutes of Nieu Bethesda, the Mountain Zebra Park and Graaff-Reinet, making it an easy overnight accommodation in a relaxed farm environment. Surrounded by historical farms, livestock and game can be seen scattered across the vast open Karoo veld, while Bushman paintings and fossils nearby tell of years gone by. Every place tells a story; come and listen to ours. Wake up in winter to the cries of blue cranes or sheep calling their lambs in the autumn and spring. Visit the Crickleywood Alpaca Breeding Centre, the first alpaca farm in the Eastern Cape. Or simply relax in the garden listening to the singing of the bird life that abound in the area. The guest house offers three bedrooms, and being an old Cape Dutch-style farmhouse, features include high ceilings and wooden floors. Guests have access to a coffee lounge with a TV, as well as a sun room. Breakfasts and dinners are available on request. We are pet friendly and a per pet rate applies. We offer different options for our guests such as accommodation only and self-catering. Self-catering includes the use of a kitchen and braai area. Home-cooked meals are available on request. Click here to enquire at Country Road Guest House.